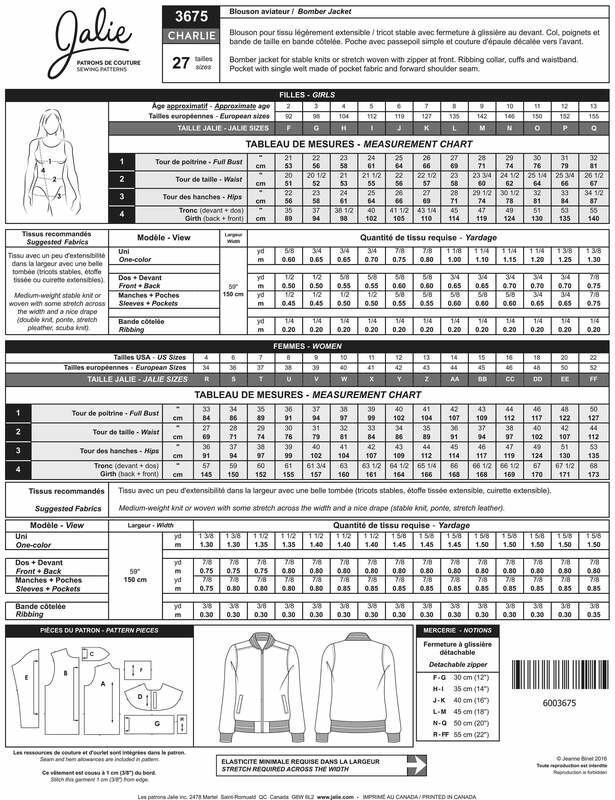 Package includes patterns and instructions to make Bomber Jacket. Designed for stable knits or stretch woven with zipper at front, ribbing collar, cuffs and waistband. Pocket with single welt made of pocket fabric and forward shoulder seam. Note from Jalie regarding zipper fitting: To get a perfect fit on the zipper, you will most probably have to shorten it (because our length increments are not 5 cm / 2'' like zippers are). If you cannot find zipper stops at your local store, you can easily find some online at: Zipper Shipper, Zipperstop.com, Fabricville.